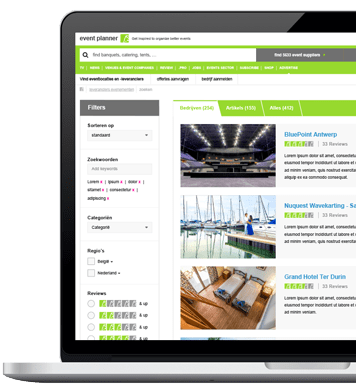 We're building the largest 'search engine' and review platform for event venues and suppliers in the world. Apply now! 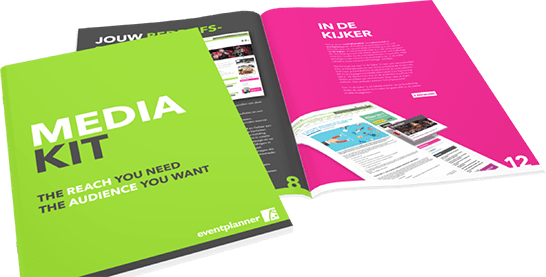 At eventplanner.net we help event venues and event suppliers to grow. We give your brand a strong boost. As with hotels, reviews now also determine the choices in the event industry. Our unique and safe review system is the basis. Via your dashboard you can follow the performance of your page closely. In addition to reach, we also measure the 'engagement' of our visitors.